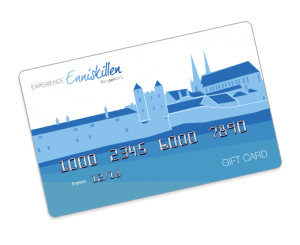 Experience more of Enniskillen this Spring – receive a FREE £50 Enniskillen Gift Card redeemable in over 110 outlets across Enniskillen, when you enjoy a 2 Night Stay between 15th March – 8th April 2018* Limited to 1st 10 bookings only. Our ideal location within walking distance of Ireland’s only island town, makes us the perfect base to spend your £50 Enniskillen Gift Card during your stay! Your Enniskillen gift card can be spent across the 110 participating outlets; enjoy lunch, dinner and drinks, buy a new outfit, or get a blow dry all using your Enniskillen Gift Card!